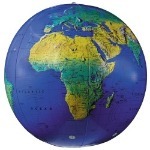 We’ve brought back this popular topographical perspective of Earth for fun learning at any age. 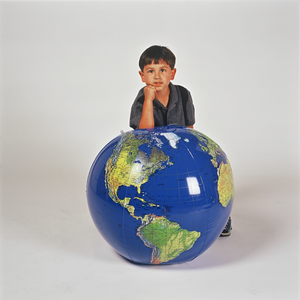 Picnics, poolside, recreation room fun, this inflatable globe illustrates the surface of the earth in true-to-life colors. Cities, capitals, and countries included for an extra learning experience. Durable vinyl construction ensures longevity. Ages 3 and up.